Strokes are frightening events both for the person experiencing them and for their family and loved ones. Because they happen quickly and without warning, it may seem difficult to know whether you are at risk and what to do if someone you love experiences a stroke. A stroke is basically a blockage in blood vessels that supply oxygen-enriched blood to the brain. As blood flow slows or stops, brain cells begin to die off causing widespread and permanent damage to the brain. Because damage occurs quickly and can be fatal, it is essential that you understand the risk factors and symptoms of a stroke so you can get help immediately. The good news is that you can decrease your loved one’s chances of having a stroke by understanding why strokes occur and making lifestyle changes to reduce risk. High blood pressure. High blood pressure is the most common indicator of increased stroke risk. Normal blood pressure is considered to be 120/80 or less. If your loved one’s blood pressure is on the high side, your doctor can help you develop a plan to lower it. High cholesterol. High LDL (“bad”) cholesterol can build up in the blood vessels and cause blockages that lead to stroke. Diabetes. Even if you are treating your family member’s diabetes effectively, the presence of this condition can still increase the risk of stroke. That’s especially true if other risk factors such as high blood pressure, high cholesterol, and genetic factors are also present. Poor Sleep Patterns. Sleep disorders such as insomnia and sleep apnea may indicate a higher risk of stroke. Getting appropriate treatments for sleep problems may reduce the risk of stroke and can also help stroke patients recover faster. Other Risk Factors. Some risk factors are beyond your control, but it’s still important to be aware of them, especially if your loved one is already at higher risk due to certain health conditions. These factors include being over the age of 65, having a family history of stroke, being from African-American, Hispanic, or Latino ethnicity, and being female. All of these categories of people statistically have more strokes than others, although strokes can happen to anyone. Exercise for 30-40 minutes per day, 3-4 times per week. Eat a healthy diet that is low in salt and sugar and high in fruits, vegetables, protein, and whole grains. How Do You Recognize Brain Stroke Symptoms? Face Drooping. Strokes may cause muscle paralysis on one side of the body, causing one side of the face to droop or lose feeling. Arm Weakness. A stroke sufferer may also experience numbness in one arm or have trouble raising one arm overhead. Speech. Depending on the area of the brain that is affected, the person may have slurred speech, be difficult to understand, or experience other language problems. Time to Call 9-1-1. If you notice any of these symptoms, even briefly, you should immediately call 9-1-1 and get your loved one to a hospital as quickly as possible. If your loved one has experienced a stroke, he or she may have a long road of recovery ahead. Depending on the extent of the damage, it may take months or years to recover, and some people may not ever regain all of their previous physical and mental ability. 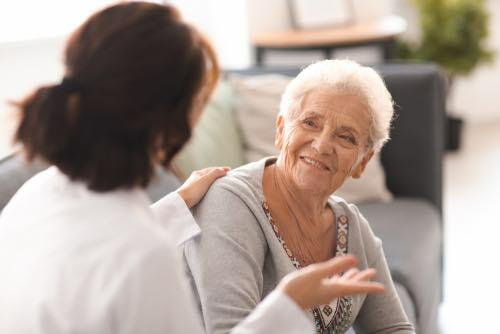 Recovery care may include intense physical therapy, lifestyle changes to reduce the risk of recurrence, mobility assistance, and help with things like bathing, eating, and dressing. It’s important for you as the caregiver to understand how to manage the many needs of a stroke patient during the recovery process so that you can create the best possible plan for care. Caregiving can be very demanding, so don’t be afraid to ask for help. 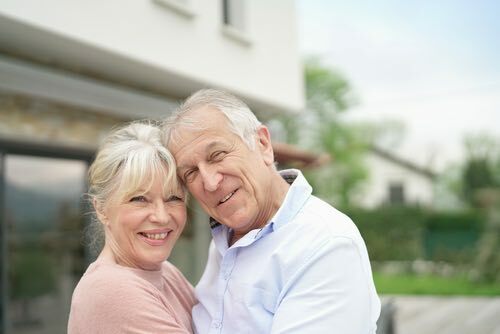 If the burden of care becomes overwhelming, home care is an excellent option for making sure your loved one receives the care they need while also providing support for you and your family. If you are ready to learn more about how home care can help during the stroke recovery process, please give us a call!